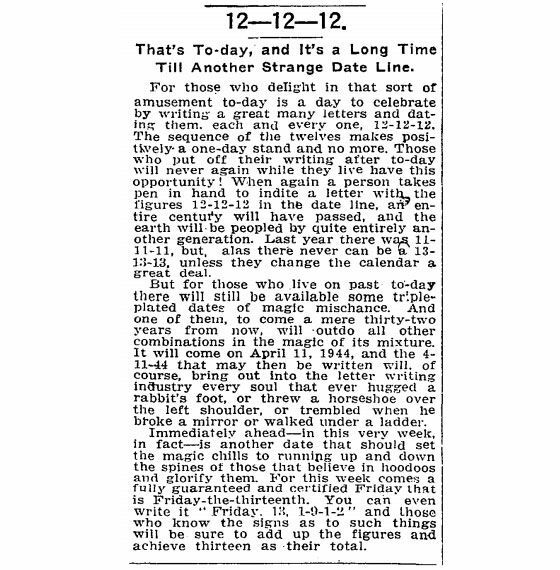 As you may have noticed, today is 12/12/12, which is kind of interesting, but not really. 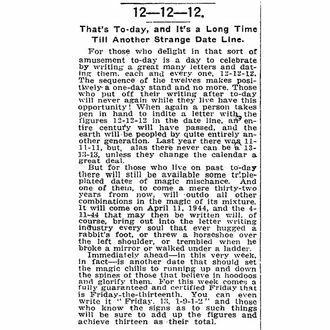 It’s just a quirk of our calendar, albeit one that, chances are, you’ll never experience again in your lifetime. Let’s all take a moment to reflect on our mortality — hooray! In honor of our adorable predecessors, let’s all take a break from work to-day and write a “great many letters,” whatever those are.